Did this for Business Standard - it appeared in today’s edition. 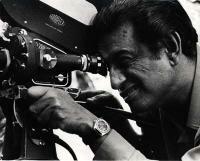 The late Satyajit Ray often expressed regret about the lack of quality writing on cinema by its own practitioners. "Filmmaking is such a demanding process that directors – especially those who keep up a steady output – rarely have time to assemble their thoughts," he said. Time constraints aren’t the only factor; many leading directors tend to be reluctant to discuss their own work at length, much less expound on cinema in general. But Ray himself is one of the exceptions. Non-Bengali readers might be familiar with his earlier work, Our Films, Their Films, a collection of essays that was first published in 1976. Now we have Speaking of Films, a translation of a collection known in Bengal as Bishay Chalachitra. It’s taken a puzzlingly long time for the first English version of Bishay Chalachitra to appear, but it was worth the wait: Gopa Majumdar’s translation is impeccable, retaining all the qualities we associate with the director - gentle yet firm, avuncular, instructive but conversational. In the 18 essays collected here, Ray covers topics ranging from the history of Bengali cinema to the importance of background music in a film ("in India the problem a composer must face is not one of paucity but of abundance"). There are reflections on great directors of the past, personal glimpses into the vicissitudes of the filmmaking process, and anecdotes, like the amusingly incongruous one about Kanu Banerjee - Pather Panchali’s Harihar - ruining a shot by repeatedly saying "mohanbagan" (the football club) instead of "mohanbhog" (the sweet). Ray also uses the scenarios of some of his movies to illuminate the problems in translation from page to screen. And there are moving personal profiles, based on his experiences with the blind painter Benode Bihari and with the extraordinary Chunnibala Devi, whose performance as the old pishi in Pather Panchali was one of the miracles of screen acting (and of serendipitous casting). The master director discusses, at some length, the synthesis between form and content: the two qualities must ideally work in unison, he says, but it is possible for some films to aspire to high artistic achievement even with an abundance of one quality relative to the other; the austerity of the Japanese director Ozu (who refused to employ even widely accepted cinematic devices like the dissolve and the pan) can coexist with the joyful experimentation of Nouvelle Wave enfant terribles like Truffaut and Godard. At the same time, however, Ray sounds a cautionary warning to those who would seek to break established cinematic norms without a clear understanding of them, "for the creation of new rules requires a thorough knowledge of the old ones". This essay, written in the late 1960s, has a strong contemporary resonance, given the dilettantism and the "anything goes" attitude we see so much of today. Even Ray’s biggest fans sometimes feel alienated by the levels of perfection the man reached (hence the frequently voiced preference for the erratic brilliance of Ritwik Ghatak over the polished finesse of Ray’s best films). This extended to his personal conduct too; he never came across as the sort who would, for instance, deign to participate in a messy verbal scuffle. In that context it’s fun to see him take on critics who wrote uncharitable things about Apur Sansar and Charulata. The occasional traces of peevishness in Ray’s tone here ("I do not know if Mr Rudra understands anything of literature. Of films he understands nothing, but it is not just that. He doesn’t understand even when things are explained to him.") are more engaging than his counterarguments (which are brilliantly made anyway). But these little glimpses of petulance notwithstanding, almost everything Ray did was marked by empathy. His ability to see various sides of a debate (mirrored in the boundless grace of his movies, where even in situations of extreme conflict and turmoil, one can relate to the predicaments of several different characters) brings richness and depth to his writing. Rarely has a major director been so generous in articulating his thoughts, not only about his own films and the cinema of his country, but also about the history of the medium and how it has been influenced by societal backdrops in different regions. For all this, and for the lucidity and perceptiveness with which he did it, we can continue to be grateful. The late Satyajit Ray often expressed regret about the lack of quality writing on cinema by its own practitioners. I think filmwalas are to blame for that. They don't want to touch the newcomers -- especially writers and lyricists -- even with a barge pole. My friend has been struggling in Bombay for four year to write songs for films and he hasn't gotten even a single break. Tens of lousy songs are churned out week after week just because they are written/composed by "known" people. Most film makers are lalas I guess and there are very few genuine film makers. Amrit: true that most filmmakers are lalas these days (especially in mainstream Hindi movies) but that can’t be a complete explanation in this case. Ray was talking about the great directors (including his own influences - Ford, Wilder, Hawks etc) and how they rarely discussed their work at length. Jai, while on the topic of directors discussing their work at length, erratic genious Ritwik Ghatak had also written a few pieces on his films. You can find them in "Rows and Rows of Fences: Ritwik Ghatak on Cinema". Seagull Publishers, Kolkata. BTW, Blogisite has a blog now. Amrit raises a good point there. I know quite a few artists who tried to get into Bollywood, but in this case it IS the system that is to blame and not their lack of talent. Everyone tells me its run like a mafia/by the mafia and it's like a closeknit family that doesn't marry below or above their caste. You have to buy or F**K your way in. I think the best way to subvert Bollywood would be to make and distribute films from here. If Bollywood can set up distribution systems in america why not vice versa, or better yet, take your work to the internet (which is my sad, long, way). Would be weird and ironic if my mugambo like system of destroying the indian system were to be annihilated by an invisible force. even ray was an outsider pretty much when he started out. getting funded by the west bengal roads and buildings department shows a certain creativity to bringing his work out in the open. i know it might be hugely frustrating for the young talent to not find ways to get into the industry, but other than the usual lessons one can learn from the great masters is probably to get inspired by how inventive they were when it came to finding funding and other such more mundane aspects of the profession. i know this analogy doesnt hold true for writers and lyricists but being 'creative' when it comes to getting their work published is also their responsiblity. its easier to crib, but if they are truly exceptional talents they better find some subversive route to be heard. i might be shooting myself in the foot by saying this: a truly creative person is one who finds ways and means of impacting all aspects of their profession. if they cant, they might just be the middling variety. Jai, about you rather than SR - this piece doesn't read like your work normally does. More ... pedantic? Didactic? Not quite the usual flow. Do you have to alter your voice for publications? Your post reminded me of the public spat (played out in the Letters To The Editor section of The Telegraph) between Satyajit Ray and Chidananda Dasgupta over the latter's interpretation of the final scene of Shakha Proshakha. Dasgupta seemed to be insisting that the way the film ended it signified that the family patriarch died of shock on realising how corrupt his two sons were. However, Ray argued that this was not how he had conceived the denouement. The exact details escape me, but I remember Dasgupta writing that Ray was coming at him with a "fly swatter". I don’t know if a record of these letters exist anywhere, but if they do it would make interesting reading. Interviewer: Why do you think Mother India is Bollywood's answer to pather Panchali? Nargis: Because it talks of developing India. Of modern India. Interviewer: What do you think is modern India? May her spirit rest in peace, is all I can say. JAP: You got to take into account the fact that Jai is writing for BS - the puritanical paper where the upper lip is slightly stiff. Tridib: Fly swatter or not, Chidananda Dasgupta was one pompous arse. He was the one who panned Kanchenjungha, when western critics raved about it. I saw your article in Ice World (Business Standard) today. Well written...it feels good to see a blogger out in the rest of the media space. Fool on the hill (feels strange addressing someone by that name! ): yes, that was part of Nargis's tirade (in her Rajya Sabha MP avatar) against Ray's "poverty-obsessed" cinema and how it supposedly presented a false image of India to the World. Salman Rushdie lampooned the whole thing nicely in one of his essays. Thanks for the Ghatak reference - have heard of the book, never come across it though. JAP: my blog writing is obviously somewhat different from my published stuff. That said, I sometimes get feedback that the stuff on the blog makes for more fluid reading, and that over-structuring/formalising a piece takes something away from it. It's very difficult to strike the right balance. I dont know whether the site works but you can always give it a try. Fool on the Hill: thanks for the link. Ideasmith: thanks, but I was in media a good four years before I started blogging. Have to say though that it doesn't feel that way anymore! Blogging has been so much more rewarding for me on the whole. Because its so unstructured and free-flowing? Ah...I love it myself. Ideasmith: well, that too, but that wasn't actually what I meant. Blogging has been rewarding for me in a practical sense - I've made more strides at a professional level as a result of my blog-writing than because of anything I've done in mainstream journalism (including making important contacts in my specific areas of interest, even getting job offers etc). come on, kanchenjunga was quite boring and lecture-ey. songs of his flims are great.....! Sorry for such a late enquiry comment. you commented "Salman Rushdie lampooned the whole thing nicely in one of his essays." I would be very much interested in reading this. Is this in a book that can be bought or in website? Very rightly said, when you watch Ray's films you wonder how can a man be so perfect. I remember seeing Charulata and that backward gaze scene...so so perfect...the last scene when she is tense but she has to open the door and two hands meet...the first scene when the camera shows the grandeur of the house...it must be leaving other film-makers dissatisfied with their work. Have you seen Stardust Memories by Woody Allen..Allen, I guess, does not even attempt to reach the excellence of top directors like Ray, Fellini. In the end, his film was totally flawed :-) but it came straight from the heart. Allen, I guess, does not even attempt to reach the excellence of top directors like Ray, Fellini. Pessimist Fool: hmm, not so sure about that. If we're assuming that there can be such a thing as a "perfect" or near-perfect film, Allen came close enough to it in films like Manhattan, Hannah and Her Sisters, and perhaps even Zelig and Bananas (which were near-perfect examples of the types of films they wanted to be). Satyajit Ray's tremendous insight on the art of cinema and on human psyche is to be read in this wonderful book. His Amal Majumdar memorial lecture makes a delightful reading, plus articles on Soviet cinema and on the evolution of cinema itself, are extremely informative. The translation by Gopa Majumdar is extraordinary, the labour put into translation is to be read to understood. The lucidity of the language is such that it seems that the articles was written in english original. The book is stuffed with Rays unique and essentially correct ideas on the arts and music. One cannot but think that it was our country's good fortune that a man of Satyajit Ray's talent was born here and left behind an immortal legacy of images, words and lines. 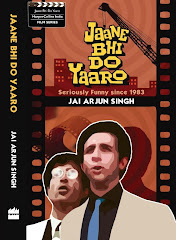 The book is ideal for the lovers of cinema and admirers of Ray.